If you can use a cookie cutter, you can make this heart-stoppingly beautiful breakfast for someone you love. 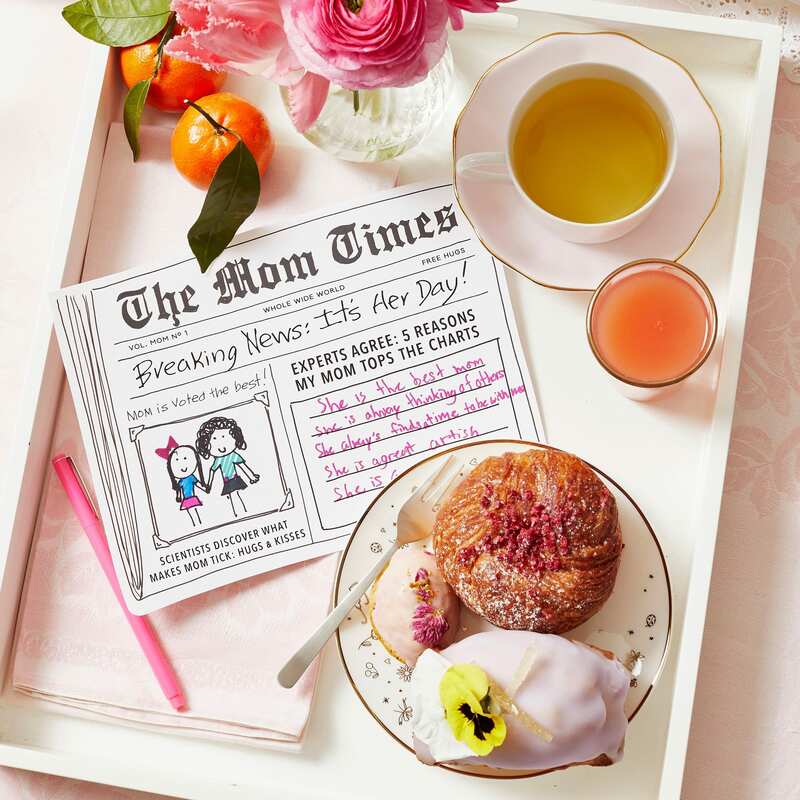 And there’s no cooking required, so it’s perfect for kids to serve to mom and dad, too! 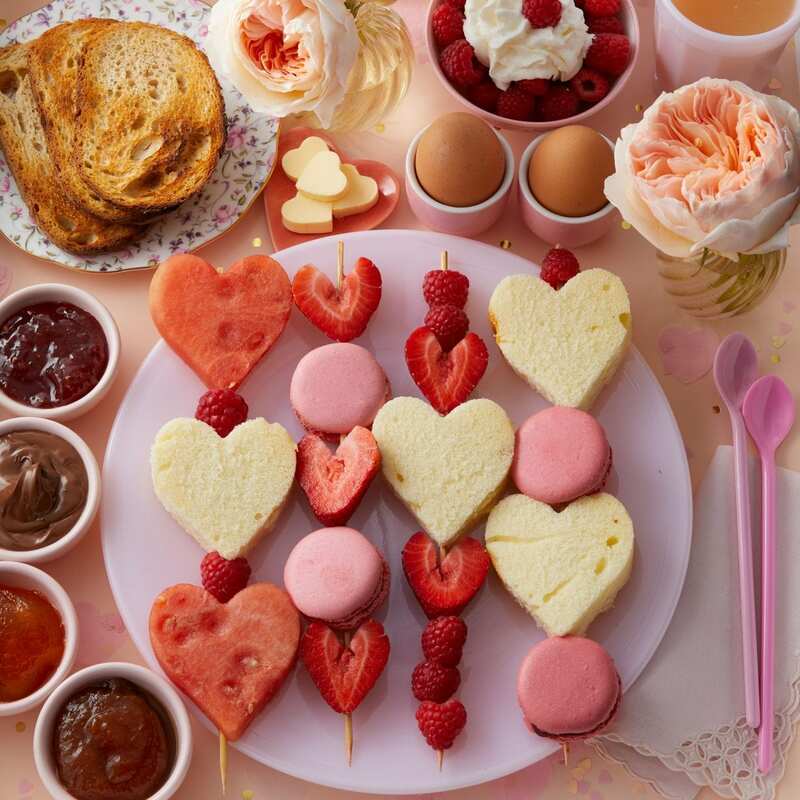 Just cut your favorite treats into heart shapes and slide onto skewers (you might try banana bread or soft granola bars, or fruits like pineapple). Or, make what’s shown here with the instructions below, and get ready to melt someone’s heart. 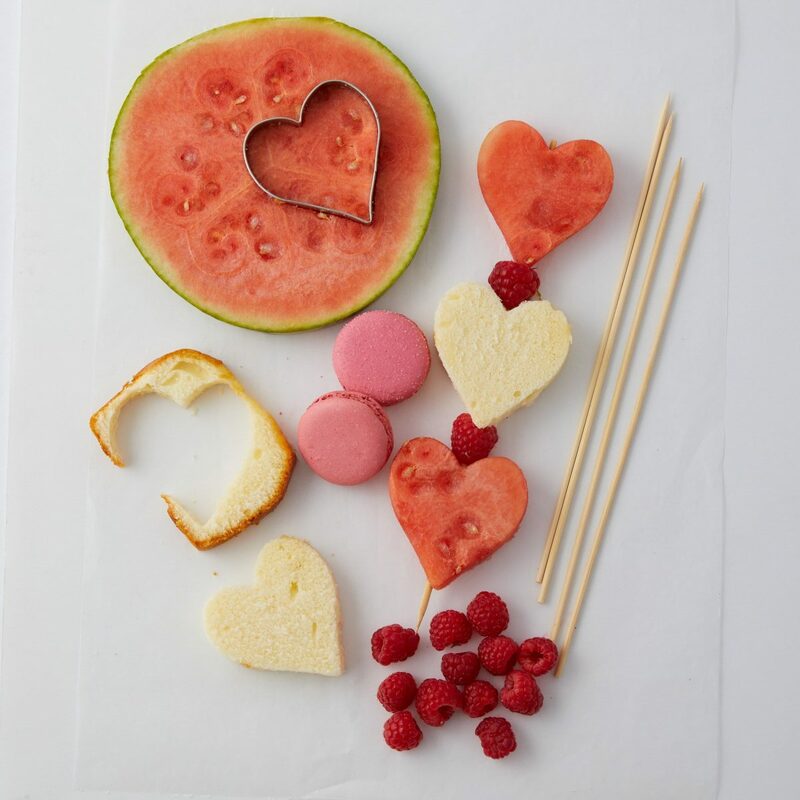 Step 1 Make heart shapes out of the sliced pound cake and watermelon with your cookie cutter. Using a knife, cut the top off of strawberries, slice, and, if needed, make a notch at the top of each slice to emphasize the fruit’s natural heart shape. Step 2 Slide cake and fruit onto skewers in alternating patterns; not everything has to be heart shaped—the raspberries and macarons add nice “punctuation” to the hearts in some of these skewers.